Mathematics is beautiful! Mathematics is far more than textbook exercises. These are important – they give us the tools of the trade, the techniques for doing mathematics but mathematics is much more than that. Learners need to have opportunities to engage in the richness of mathematics through a broad study of the discipline and opportunities to solve problems. Mathematics is the underpinning of numeracy. Numeracy is about using mathematics. This implies you must know mathematics before you can use it. The use must also be effective. Numeracy is also much more than number work. It includes geometry, statistics, algebra, indeed, the more mathematics you know and are able to call on in whatever situation, the more numerate you will be. Finally, numeracy requirements vary, depending on culture, time and context. Use assessment to guide their teaching. 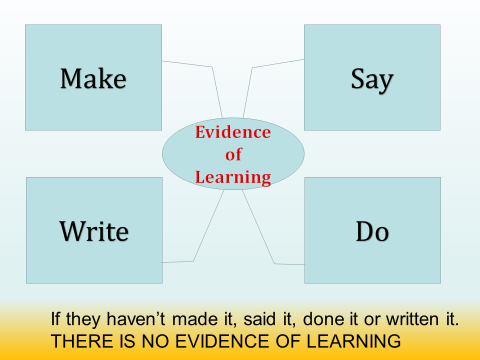 They understand that evidence of learning is what students MAKE, SAY, DO and WRITE. 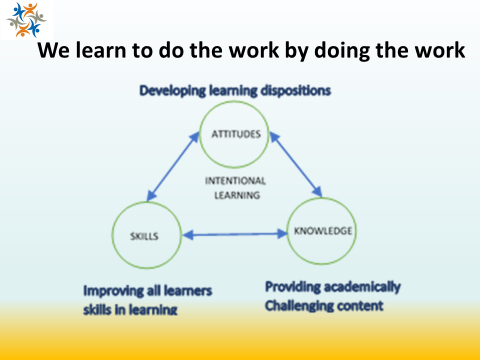 As this is true accountability of learning. Use a range of strategies to provide a balanced learning and assessment program. Create tasks that have multiple entry and exit points and understand that students will enter the task at different points. Ask students revoice. E.g. “So you’re saying..."
Prompt to continue discussion. "Would someone else like to..."